With the first of May comes the peak month for tornadic activity on the southern plains and the May 7-9 sequence has produced the first tornadic outbreak of the month. 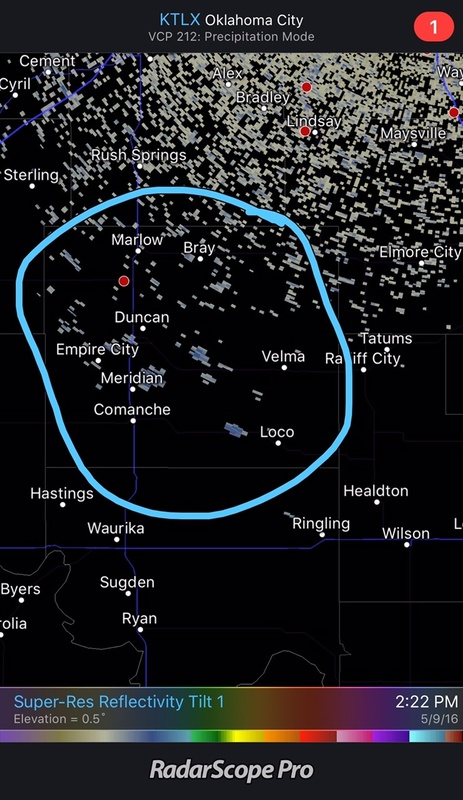 Initially starting with the Wray, CO tornadoes on May 7, the focus shifted to Kansas and Oklahoma where most notably a brief tornado occured near Marlow, Oklahoma on May 8th. Monday ended up being the most significant day of the sequence producing an outbreak of tornadoes across the plains. Initiation of a storm began near Duncan Oklahoma at around 2:30 pm. By 4:00 pm, that same storm became a supercell and began producing a violent tornado (EF3 +) near Elmore city, OK just west of I-35. Meanwhile, several storms across Nebraska, Illinois and Iowa began producing brief tornadoes along the warm front while also producing large hail near Lincoln, NE. 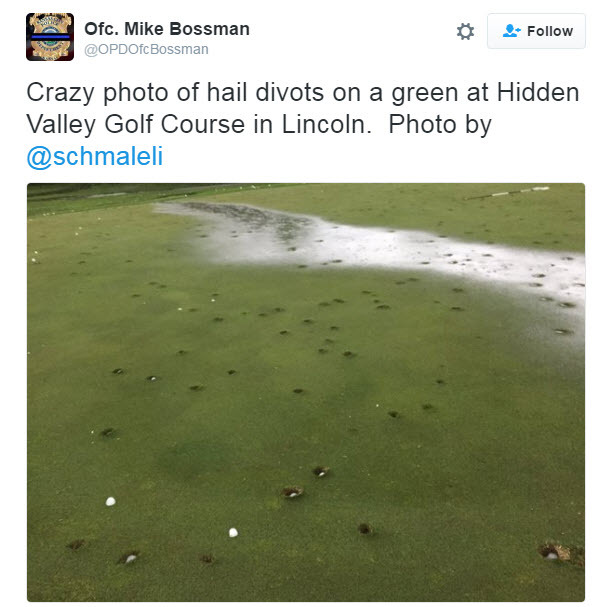 Divots are common across a golf course but usually not related to large hail! The supercells forming along the dry line in Oklahoma were by far the strongest and produced the most violent tornadoes of the day. 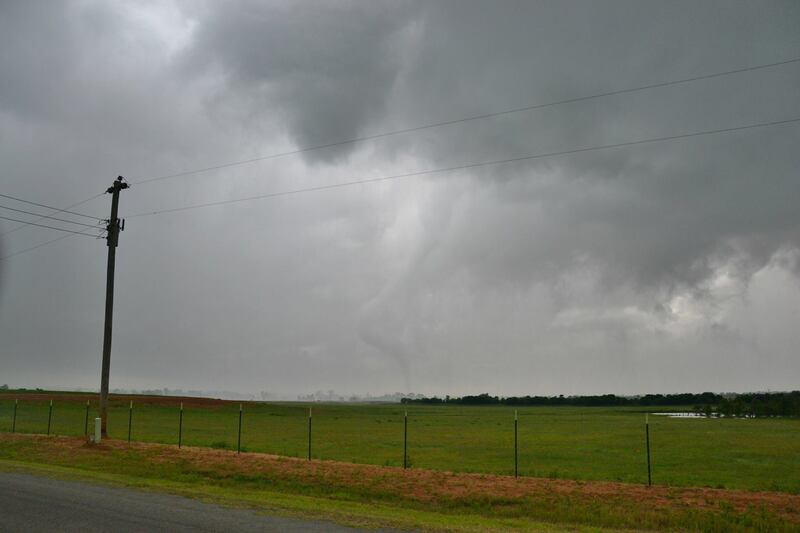 I personally witnessed a large wedge tornado near Sulphur Oklahoma that unfortunately resulted in one death. With tornadic events already occurring and more on their way, I cannot state the need for preparedness and staying on top of the weather with mobile apps from WDT. As a weather enthusiast, I cannot go without RadarScope and RadarScope Pro. Everyone should use this app to keep aware of what is ongoing around them in regards to the storms. The WDT Weather Radio app is a must have for all those that do not have any weather related experience. The app alerts you to any weather threat that may be ongoing. My entire family has this app and it’s like having your own personal meteorologist sending you an alert when you’re in harm’s way.